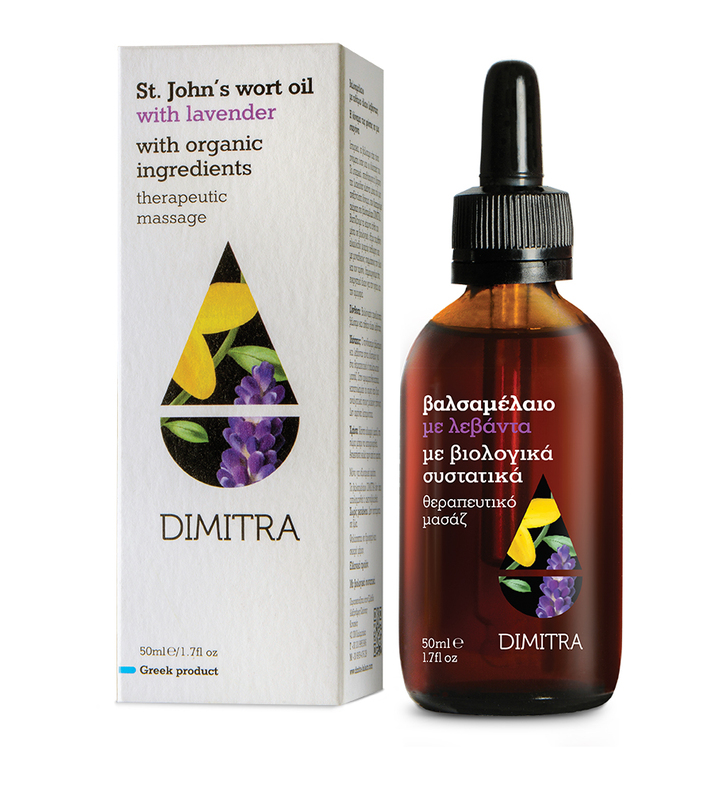 When DIMITRA St. John’s Wort Oil with organic ingredients combines with the lavender essential oil we feel calm and relaxed both our mind and body. It is all about an ideal mixture of herbs for a therapeutic and relaxing massage with multiple action: it enhances blood circulation, removes toxins, it is also effective for the treatment of rheumatic pains (sciatica, lower back pain) and aching joints, it moisturises the skin. All our products are 100% natural compositions of certified organic extracts, herbal oils and bee products. They are paraben free, no disinfectants use or radiation and not tested on animals.